Wonderfully alluring and captivating, the Past, Present, Future earrings capture the beauty of true love and finding someone who loves you for who you are. Beautiful sterling silver and 9ct rose gold adorns three sparkling white topaz in elegant and flowing curves. 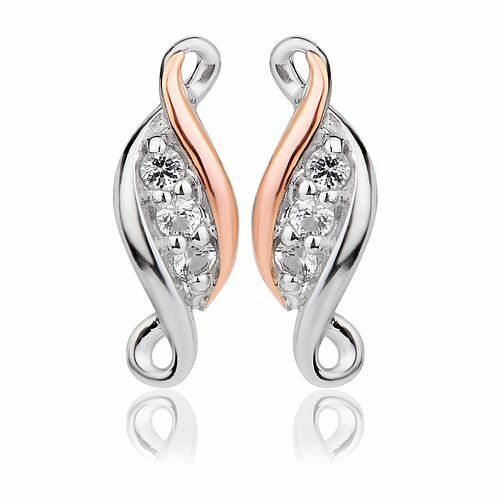 Clogau Sterling Silver & Gold Cubic Zirconia Twist Earrings is rated 4.0 out of 5 by 1.